More and more people are choosing sustainable options when they travel. Germany is ideal for the environmentally conscious holiday. Over a hundred years ago, Irish author Oscar Wilde wrote about the benefits of travel: "Travel improves the mind wonderfully and does away with all one’s prejudices.” This is still true today, which can leave travellers facing a modern dilemma. As cosmopolitan and responsible people, we want to see as much of the world as possible, but we don’t want to contribute to its destruction. The rise in tourism is already harming the environment in many places, like Mallorca where the beaches are shrinking as rising numbers of tourists accelerate sand loss, and Venice, where the lagoon’s ecological balance is threatened by incoming cruise ships. But there is another way, and you can sate your wanderlust for foreign lands while leaving nothing behind but environmentally friendly footprints. In 2016, Franziska Diallo and Judith Hehl founded the Good Travel agency in Berlin. They specialise in helping customers plan an environmentally friendly European holidays to destinations selected for buildings that blend in with the environment, regional and fresh organic cuisine, and social and environmental sustainability. Diallo and Hehl have noticed an ongoing trend in Germany toward responsible travel: "Demand for sustainable products is increasing in almost every industry: energy, food, fashion, cosmetics, and travel too. As early as 2014, the German Environment Ministry estimated that around 30 percent of all Germans were booking sustainable holidays. This corresponds to approximately 16.5 million people and a total turnover of almost 13 billion euros in the travel industry." Cologne travel blogger Daniela Klütsch has also written about sustainable travel for years. Her Landlinien blog clearly reflects the uptick in interest for sustainability holiday trips, and reader response is greatest for posts that look at environmentally friendly, short time-outs in Germany and its European neighbours. In Germany, more and more providers are responding to the rising demand for fair and CO2-neutral travel by focusing on ecologically and socially compatible tourism. Some of them have been filling this niche since the early 1990s. Holidaymakers who want to book their own trips can look to the various certifications and seals for guidance. The best-known ones include the CSR tourism certification from Forum Anders Reisen, the Stuttgart TourCert certification, Viabono’s award for environmentally and climate-friendly travel and the Blaue Flagge, which recognizes sustainable marinas and beaches. All look at a range of criteria, including whether hotels and accommodations use green electricity, save water and limit CO2, and whether employees receive fair pay and social benefits. Many associations even expand or improve on this list when certifying members. How you get there is also a very important issue, since air travel in particular has an immense negative impact on the climate. If you cannot avoid air travel, Berlin-based atmosfair offers CO2-offsetting services to ease your conscience: Use their website to calculate your trip's carbon footprint, then balance it out by donating a corresponding amount of money to an organisation that protects the climate. Daniela Klütsch has travelled extensively, and has contacts throughout the tourism industry, especially with organisations that arrange environmentally friendly trips. She has noted that more and more cities and regions in Germany are responding to the desire for ecological travel, and highly recommends Germany as an environmentally conscious destination: "It is a wonderful place to hike and as far as accommodation and food are concerned, well ahead of the pack well in environmental awareness. Combining both – a rambling holiday at an organic hotel – is one of the most sustainable forms of travel I can think of." Franziska Diallo also acknowledges, "sustainable travel is so easy in Germany. The infrastructure is good, so many destinations are accessible by public transport. Initiatives such as Fahrtziel Natur are working to expand the infrastructure in large protected areas as well, so that more remote regions can also be reached in an environmentally friendly way. There are so many exciting projects just getting off the ground, from sustainable city tours to organic hotels that grow their own vegetables. It is clear that more people are considering the environment, which we find really exciting." 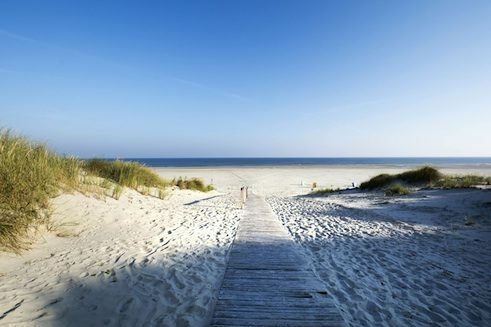 Germany's North Sea Islands are the ideal place to take a break from the noise and fumes of city life, as most islands don't allow any vehicles with internal combustion engines. Juist Island is on schedule to become completely climate-neutral by 2030. The island takes its energy from the wind, the sun and the heat of the earth, and local government only use green servers. Buildings are being brought up to environmental code and restaurants offer vegetarian dishes. Juist was honoured with the German Sustainability Award in 2015 for its commitment to the environment. Eifel National Park is one of the few areas in Europe where the Milky Way is still visible to the naked eye. Local initiatives are preserving and making this most of this tourist attraction. Eifel National Park offers guided tours of the stars and excursions for amateur astronomers. Since 2016, Eifel Trekking has also made it possible to camp in this fantastic natural setting. Nature enthusiasts who book an overnight stay are given the GPS coordinates of the nature camp sites, which can only be reached on foot. The region has also expanded and modernised the railway stations in the national park to give visitors more environmentally friendly ways to 'packing in'. The people of Schmilka, a once almost abandoned shipping village in Saxon-Bohemian Switzerland National Park, have pulled together to attract more tourists to their picturesque home. 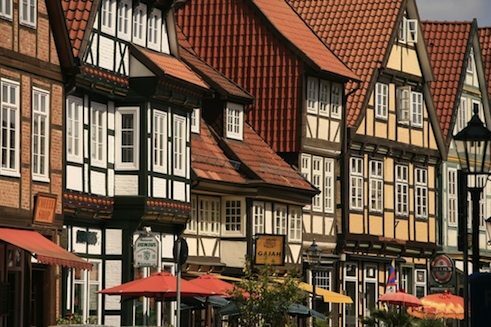 Hotels and guesthouses have always lined the banks of the Elbe River and half-timbered houses adorned the Mühlberg. Residents have restored the historic buildings and brought them up to the highest ecological standard. This concerted effort won Schmilka the title of “the most beautiful village in Saxony” in 2017. 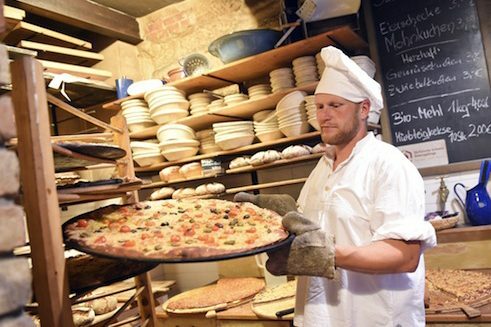 Bakers bake organic loaves in wood ovens, restaurants serve organic food and, last but surely not least, locals brew organic beer. 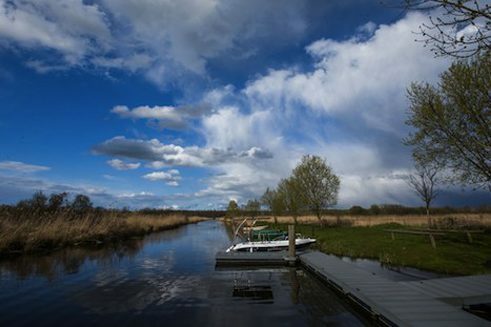 The extensive Peene River System that flows through the state of Mecklenburg-Western Pomerania offer tourists an authentic experience of the natural world. The fascinating landscape can be explored on foot, by bike and on the water, where environmentally friendly, solar boats with room for eleven people silently and sustainably ply the rivers. Your guide will tell you all about the area as you snack on locally grown foods. Holidaymakers and travel service providers can contribute to protecting the ecosystem by using the “Peene Taler”, a regional currency where part of the revenue goes to conservation projects. The Alps are one of Germany's most popular winter holiday destinations. But while skiing is a fun sport with the healthy advantage of lots of fresh air, as we all know, building winter sports facilities and the immense energy they consume damage the environment. 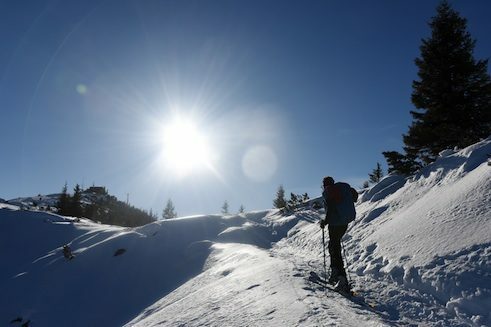 Germany doesn't have solar-powered ski resorts like those in Austria yet. But one of Germany's best known ski areas, the town of Garmisch-Partenkirchen near Munich, presented its integrated sustainability strategy in 2016. The plans include renewable energy, the expansion of local transport and elecromobility, and a greater focus on sustainability at major events while continuing to promote tourism. At the edge of the Lüneburg Health in Lower Saxony, a total of 480 listed, half-timbered houses are on display in Celle's historic quarter. This is Europe's largest contiguous ensemble of half-timbered buildings, and well worth a visit, especially to attend one of the town's delightful art, wine and Christmas markets. Celle takes care that such tourist events are not held at nature's expense. Every stand features reusable crockery and cutlery, only natural fir is allowed in the Christmas decorations, and everything sold is sourced regionally whenever possible. 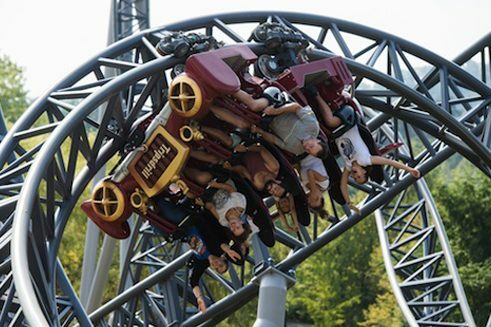 Baden-Würtemberg has built an ecological amusement park surrounded by the glory of nature - Tripsdrill Adventure Park. 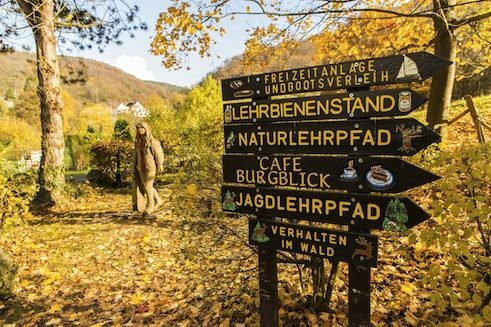 Roller coasters, white-water rides, a climbing forest and a game park are just a few of the more than 100 attractions that await visitors to Stromberg-Heuchelberg Nature Park. Sustainability and adventure stand side-by-side here. The amusement park uses green electricity to power the rides, and the giant "Mammoth" roller coaster was constructed primarily of wood. Visitors can spend the night in one of the nature resort's ecologically built tree houses. In this former part of the Iron Curtaiån, the grass on both sides could not be greener. Where there was once a border wall separating the two Germanys for decades has developed into a unique biotope. In 2004, the German Green Belt, which stretches from the Baltic Sea to the Czech border, was placed under special protection and a roughly 1,400-kilometre cycling path was built. Nature conservation groups came together to transform this former “death strip into a habitat”, combining it with sustainable tourism. The path winds its way through a number of nature preserves, past monuments and a few watchtowers left standing as reminders. The Black Forest Nature Park's is a popular tourist destination whose fame has spread far beyond Germany. 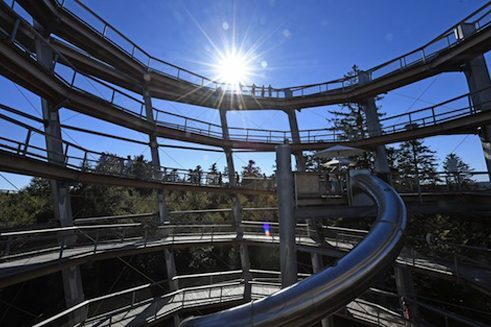 It is a lovely place to bike and hike, but in Bad Wildbad, visitors can get an entirely new perspective on this unique natural environment: the Treetop Walk spirals up to culminate in nearly 40-metre-high tower with a viewing platform. 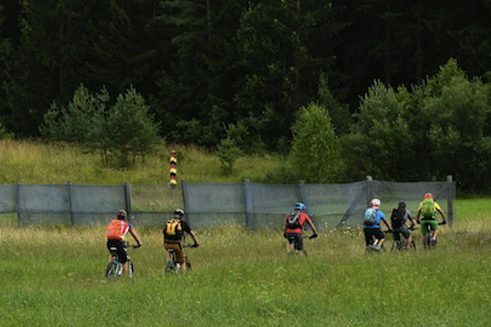 The 1250-metre-long and completely barrier-free trail has stations where visitors can test their climbing and balancing skills, and provides lots of information about the Black Forest's flora and fauna. Saving the best for the last, the trail ends in the greatest adventure: 55-metre-long tunnel slide takes visitors down to the exit. Sandro Abbate is a freelance journalist who writes for various magazines and newspapers. He also runs the novelero.de literature blog. Copyright: Text: Goethe-Institut, Sandro Abbate. This work is licensed under a Creative Commons Attribution – Share Alike 3.0 Germany license.